In the wake of Hurricane Katrina, catastrophic levee failures caused massive floods that destroyed thousands of homes in New Orleans and turned many neighborhoods into vast landscapes of vacant lots. 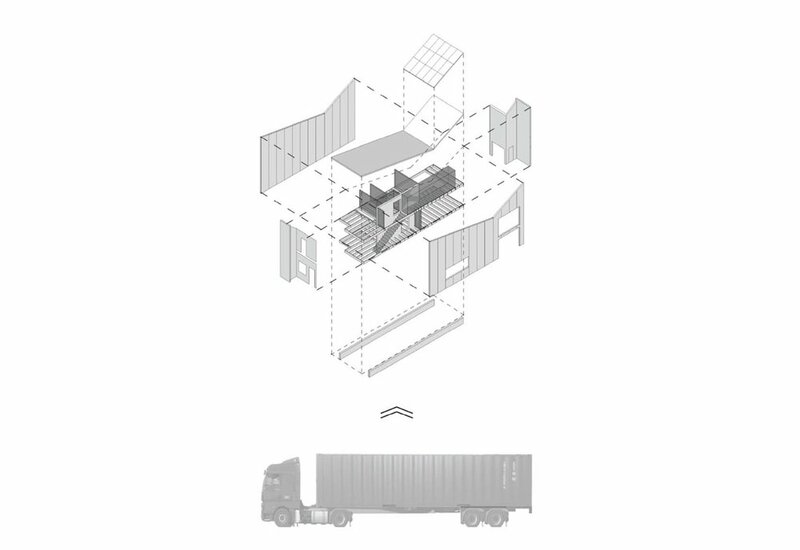 Reose was developed for a design competition focused on the provision of affordable, replicable housing prototypes that could be built on any typical vacant lot measuring 30’ by 100’ in size. In keeping with many bild projects, Reose was designed to maintain certain conditions that are significant to the local architectural vernacular: the front porch, narrow side garden, larger rear yard, covered side and rear deck traditions are all honored here. The strategy incorporates a primary two-story volume with a secondary side volume that can be “built out” in a number of ways: as a covered side deck, an enclosed side sunroom, or a two-story interior extension of the house, with an additional upper level bedroom and additional living space on the first floor. The dwelling’s butterfly room form was intended to receive a solar panel system and collect water. the design for this prototype also considers wind turbine technology and an onsite water retention strategy.